The finale of the second season of Force Grey will be broadcast live from New York City on November 18th at 12PM PT/3PM ET. Force Grey: Survive the Tomb will pit the star-studded cast of Joe Manganiello (True Blood, Magic Mike) and Deborah Ann Woll (True Blood, Marvel’s Daredevil), Dylan Sprouse (Zack & Cody), and Utkarsh Ambudkar (The Mindy Project, Pitch Perfect) against the machinations of the lich Acererak and Dungeon Master Matthew Mercer (Overwatch, Critical Role). D&D fans in the NYC area, here’s your chance to watch premier Dungeons & Dragons players live at Villain in Williamsburg, Brooklyn. 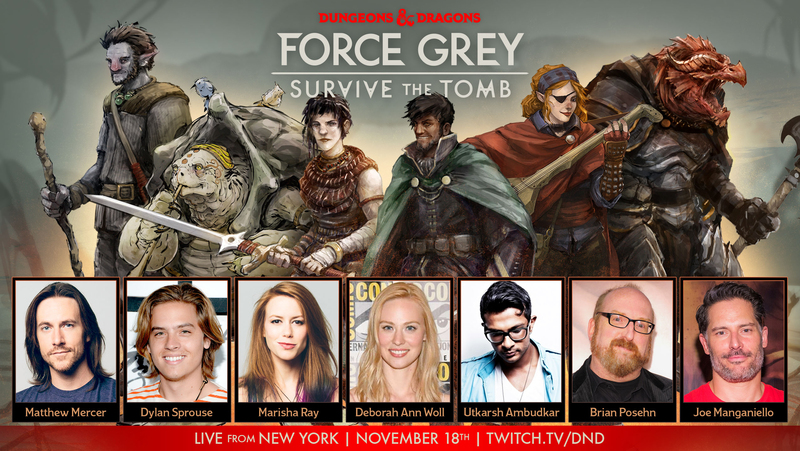 Fans can grab tickets for the event at here on Ticketfly to watch it in person D&D fans around the world can watch Force Grey: Survive the Tomb exclusively on twitch.tv/dnd on Saturday November 18th at 12PM PT/3PM ET. For limited time, tickets to see Force Grey: Survive the Tomb are $20 while you can grab VIP seating plus a copy of Xanathar's Guide to Everything for $65. 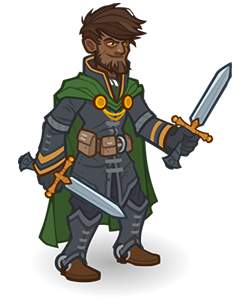 Force Grey, the elite adventuring party from the city of Waterdeep, debuted last year on Force Grey: Giant Hunters. To celebrate the Tomb of Annihilation D&D adventure storyline in stores now, the second season Force Grey: Lost City of Omu has been broadcasting episodes every Monday night at 5pm PT exclusively on Twitch. After 18 episodes, Force Grey: Survive the Tomb will wrap up the season as the adventurers head into the Tomb of the Nine Gods and confront whatever horrors await them. Catch up on all that’s happened so far in the Force Grey: Lost City of Omu collection here on Twitch. 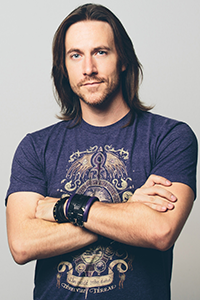 Matthew Mercer is a Los Angeles-based actor/voice actor known for his roles in animation and video games such as McCree in Overwatch, Cor in Final Fantasy XV, Jack Cooper in Titanfall 2, Yusuke in Persona 5, Deadshot in Injustice 2, MacCready in Fallout 4, Leon Kennedy in Resident Evil 6, Resident Evil: Damnation, and Resident Evil: Vendetta, Captain Levi in Attack on Titan, Aloth & Edér in Pillars of Eternity, Gangplank and Kindred (Wolf) in League of Legends, Rexxar, Nefarian, and Ragnaros in Hearthstone, Rehgar and Ragnaros in Heroes of the Storm, Cicero Gavar in Masquerada: Songs and Shadows, Chrom in Fire Emblem: Awakening, and many other projects you are welcome to look up online. 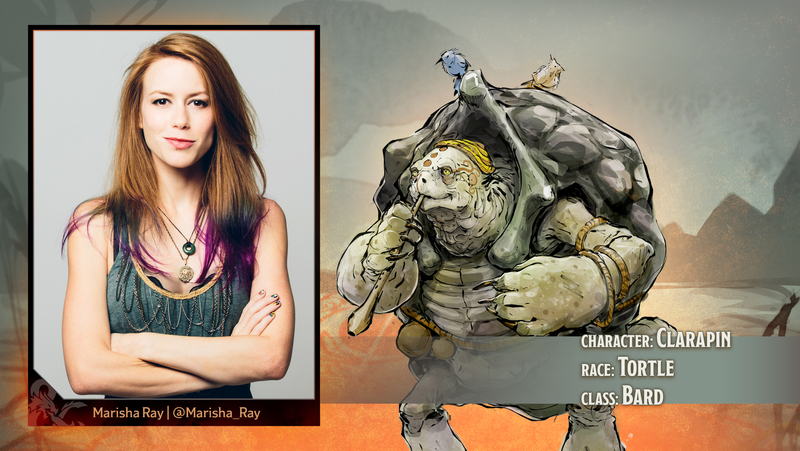 Matthew is also the Dungeon Master for the hit Twitch show Critical Role on Geek & Sundry, where he runs a group of other accomplished voice actors through a campaign of Dungeons & Dragons live Thursdays at 7pm Pacific. Joe Manganiello is an actor, a producer, a director, a published author, an Emmy winning narrator, and a lifelong D&D enthusiast. He earned a BFA in acting from The Carnegie Mellon University School of Drama before going on to become known for his roles in True Blood, the Magic Mike movies, Sam Raimi's Spider-Man, Pee Wee's Big Holiday, Sabotage, What to Expect When You're Expecting, and most recently his arc on Critical Role. His book Evolution has been printed in several languages and is available through Simon & Schuster's Gallery Books. He can next be seen in the films Drunk Parents with Alec Baldwin, Rampage with Dwayne "The Rock" Johnson, Stano which he is producing through his company 3:59, and as Arkhan in Force Grey Season 2. He serves on the board of trustees for Children’s Hospital of Pittsburgh. Brooklynite Deborah Ann Woll is a graduate of USC's BFA Acting program. She began her career on the highly acclaimed HBO series True Blood as the fiery baby vamp, Jessica. She can now be seen starring as Karen Page on Marvel’s Daredevil for Netflix. Jamilah is a Human Barbarian. Shipwrecked as a young child, Jamilah washed up on the shores of Chult. Luckily, the people of this forbidding land took her in and raised her as one of their own. 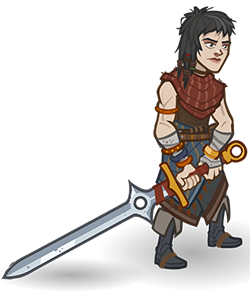 Having grown into a strong and confidant young woman, she now longs to leave Chult and explore other lands, challenging anyone along her way to arm wrestling or thigh crushing contests of might. 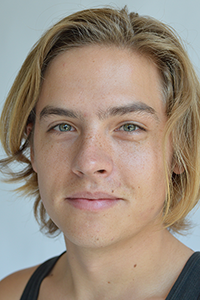 Dylan Sprouse is an actor and brewer currently living in NYC. After graduating from NYU Dylan decided to open his own Meadery called All-Wise in Brooklyn where he plays D&D with his buddies between shifts. 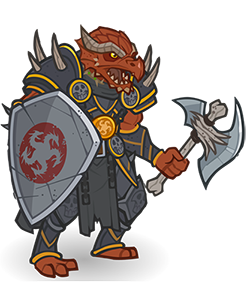 Dylan also runs homebrew D&D campaigns on a twitch stream called PUGcrawl. He likes long walks on the beach and circle of the moon druids. 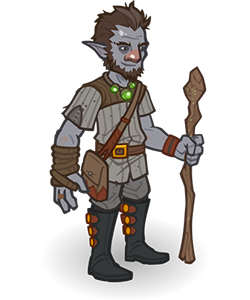 Tyril Tallguy is a Firbolg Druid. 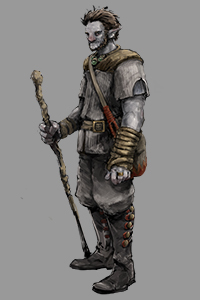 Tyril grew up in the wilds around his home village as the apprentice to the spiritual leader. 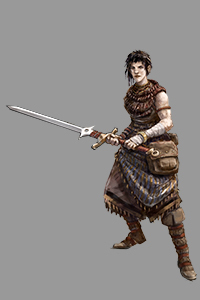 After an accident regarding his large stature, Tyril fled the village to become a sword for hire. His regret informs his transformations, and he prefers to shape-shift into small mammals and rodents. 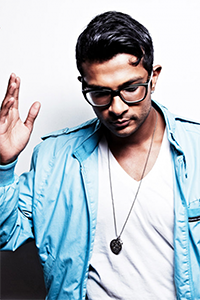 Actor, singer, rapper-extraordinaire, Utkarsh Ambudkar (The Mindy Project, Pitch Perfect), will be drawing on his many talents as he plays a wise-cracking scoundrel human rogue. Hitch is a Human Rogue who started off life on the wrong foot and the wrong side of the wagon tracks. 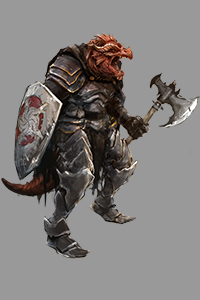 Besides the Sword Coast, the only other place he’s ever called home is Durpar in Southeast Faerûn, which has been conquered by goblinoids allied with Durpar’s ruling merchant house. 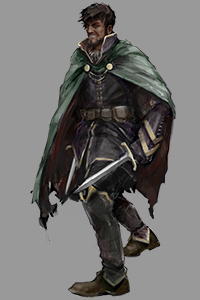 Now, he tries to keep two steps ahead of his shady past, avoiding run-ins with the Zhentarim and other nefarious acquaintances. With his quick wit and roguish charm, Hitch plans to somehow land on his feet, on a pile of gold, with a treasure map in each hand, but until then he needs all the friends he can get. 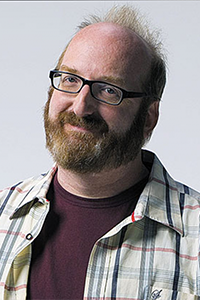 Writer, actor, and stand-up comic, Brian Posehn (The Sarah Silverman Program, The Big Bang Theory) is a long-time D&D player who produces and hosts a popular comedy podcast, Nerd Poker, and over the past several years co-wrote 45 issues of the best-selling Marvel comic book series Deadpool. 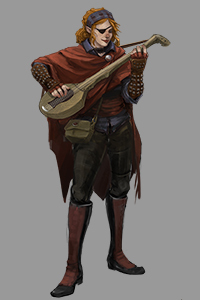 Calliope is a Half-Elf Bard. Calliope was raised on a pirate ship, and yes, that’s an excuse for her sometimes volatile behavior and colorful language. 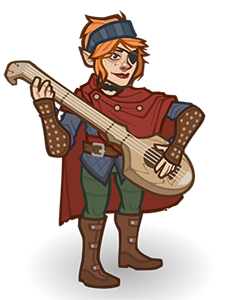 She’ll sing you a song, but you better listen, or she’ll smash you with her lute. Calliope can’t resist the lure of adventure or making new enemies, but it’s her friends who serve as the family she never had. Force Grey: Lost City of Omu streams every Monday at 5PM PT on the D&D Twitch channel (twitch.tv/dnd).